There are so many beautiful fabrics out there! If you have scraps from your fabric stash to use up, then this tutorial is for you! 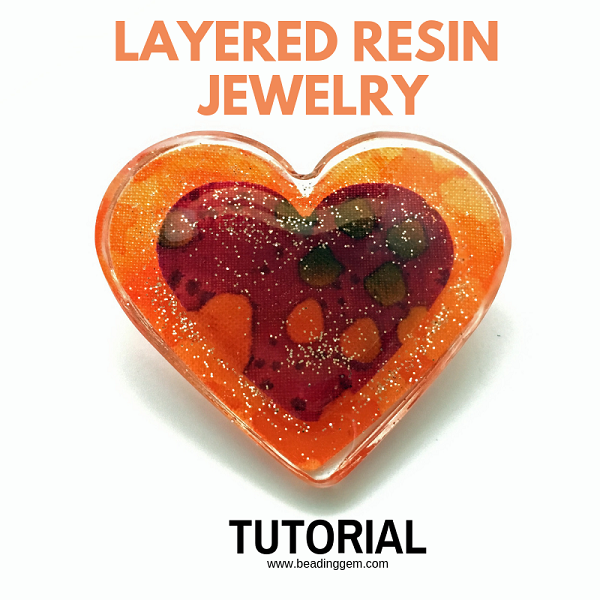 I have wanted to do a fabric resin jewelry tutorial ever since I saw Fran Valera's tutorial on how to do it. Basically, she coated fabric lightly with resin and allowed it to cure. Cutting out shapes with scissors afterwards though didn't appeal to me but the paper punch idea did. As the resin infused fabric becomes stiff like cardstock, why not? 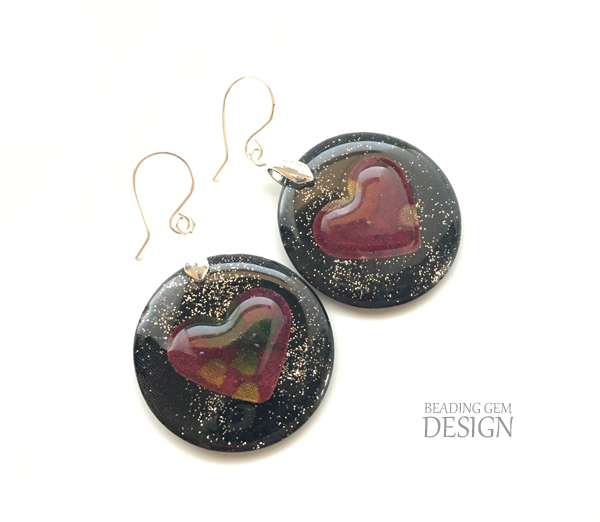 Her most recent tutorial showed how to layer with resin to obtain a 3D effect also inspired me. What I used was Little Window's Brilliant Resin which in case you didn't know already is manufactured in California. I really like it a lot as it has a longer shelf life than many brands. Note that all epoxy resin will yellow with time - usually Part B. 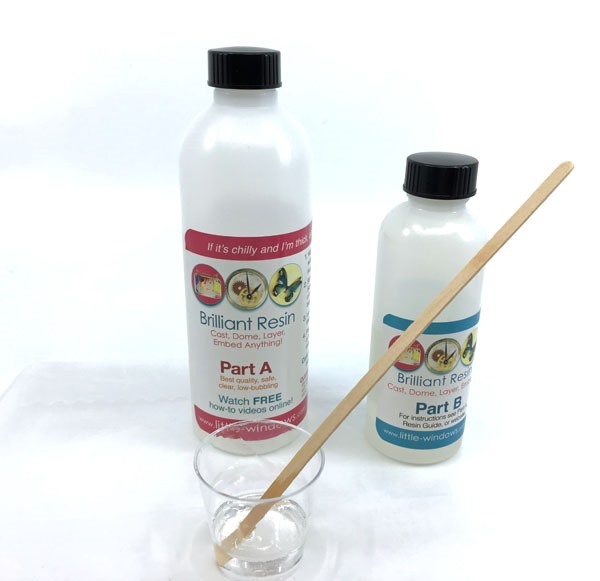 You can purchase just Part B if yours has gone off - I don't know of any other resin manufacturer which offers this. What a waste if you had to get rid of both! Its other virtues include crystal clear results with low bubbles. It helps if you microwave Part A for 5-7 seconds before mixing. Note that this resin is mixed in a 2:1 ratio. 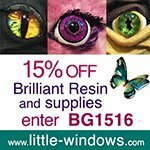 Readers have a special 15% discount from Little Windows for all their products - use this code BG1516. Although I don't wear gloves for photography purposes (it is hard to remove and replace gloves all the time while I am photographing the work process) , it is a good idea to wear them in case of skin sensitivities. 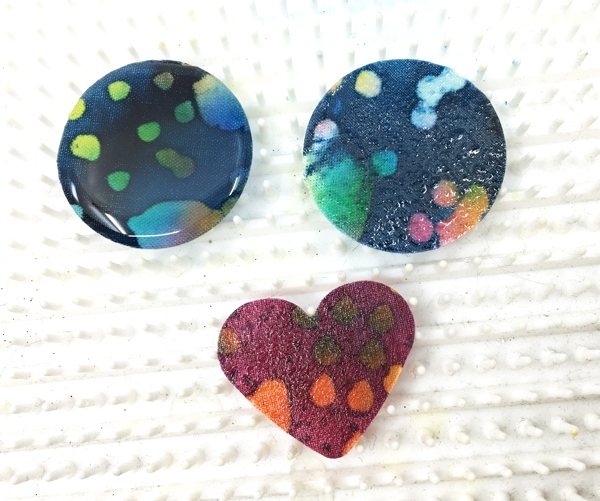 Mix up a batch of resin. How much depends on the amount of fabric you have. I suggest you make up a small batch - say 10 mL : 5 mL (A:B) and see how that goes. 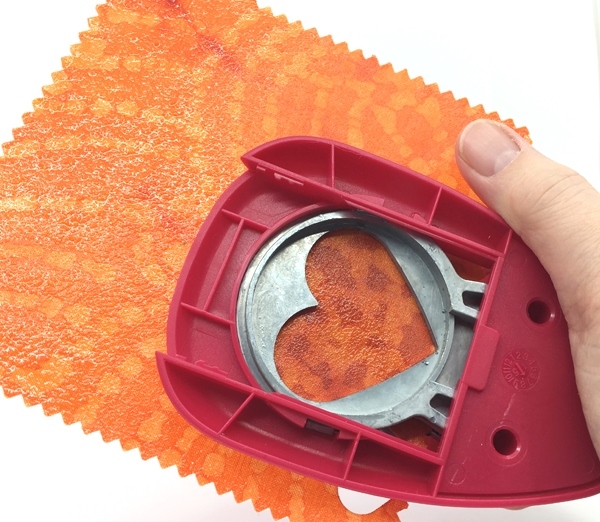 Place your fabric on wax paper. 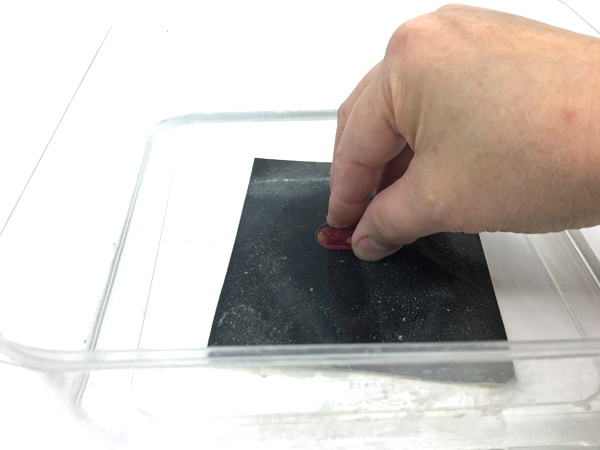 As Fran demonstrates in her video, just pour some resin on the fabric and spread it as thinly as possible. I used the long wooden stick above like a squeegee to distribute and remove excess resin. You will likely get small little pockets of imperfection. One side will be smooth, the other side rough. Neither matters as you will be pouring more resin on the fabric later. The main objective is to stiffen the fabric. I used some lovely 100% cotton batik sample squares meant for quilters. Cover and leave overnight for the resin to cure. 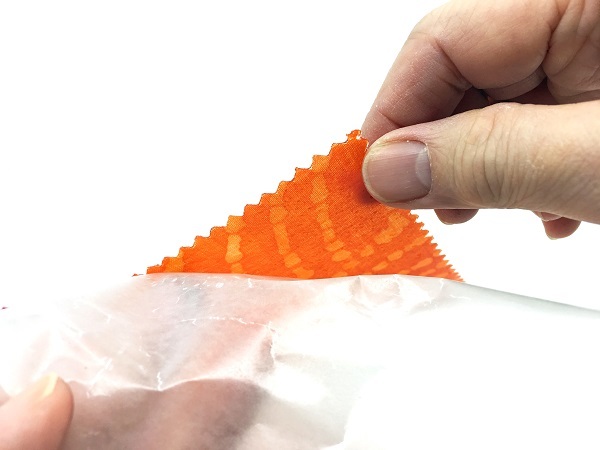 Peeling the now stiffened fabric off the waxed paper is easy. 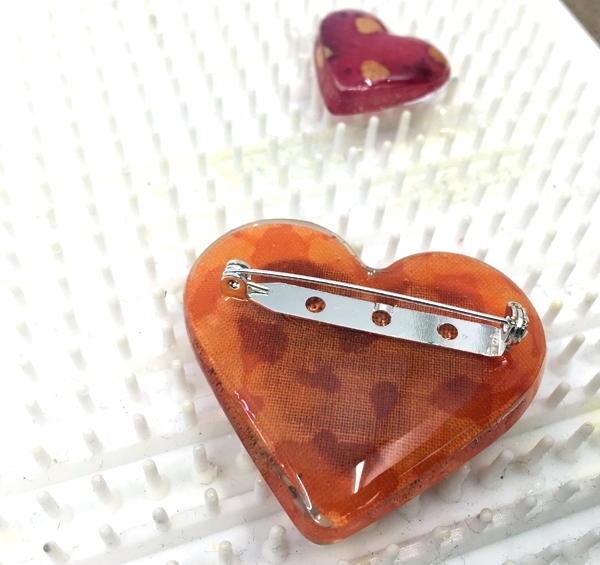 Little Windows' heart punches were another inspiration for this tutorial as they are graduated in size - something I took full advantage off! 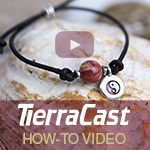 This tutorial is perfect for a Valentine's Day or Mother's Day gift. It helps to trim off the pinked edges or slightly raised edges if your fabric piece has them. Makes it easier to punch! Fran's layered resin method used her special molds which have in-built mold release, not her silicone ones. I like these molds because of the mirror finish. 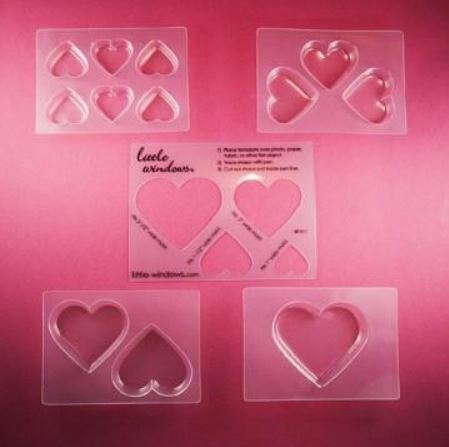 One tip, do not use torches or heat on these molds as it will affect the mold release. I poured enough resin to just cover the mold bottom. Then I slipped in the punched heart sideways. 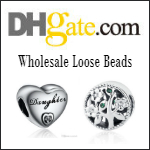 Make sure there are no air bubbles trapped underneath. It helps to use a clear mold as you can lift it up and look underneath. Use a toothpick or the stirrer to press down a bit to encourage bubbles to migrate to the edges. Cover and let it cure overnight. When you pop the pieces out of the mold - just flex the mold slightly and give it a sharp tap on the table - it will pop out. You will notice the pieces are concave. 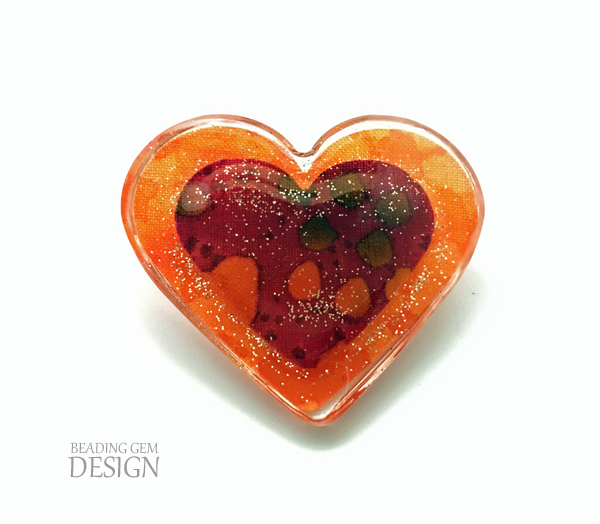 So you can dome up such pieces with more resin which is what I did with the small red hearts below. I added a bit of glitter before doing so. A little glitter is not only pretty but will make little missed bubbles irrelevant! I did not dome up with the large orange heart straightaway. 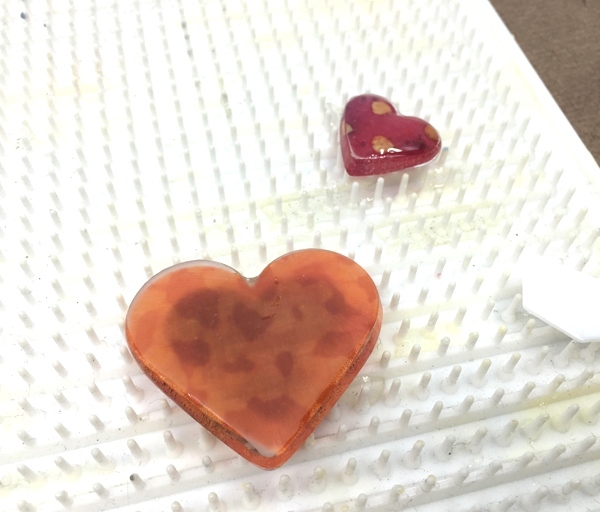 I added a thin layer of resin so I could set in a smaller red heart which had been previously domed up with resin on one side. Adjust the position with a toothpick. 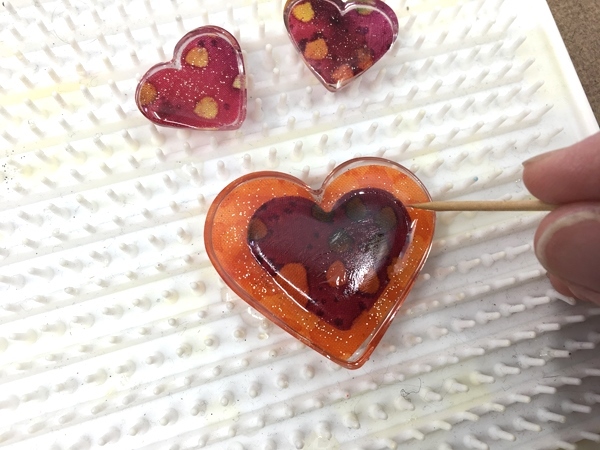 Do not add too much resin at this stage because the inner heart could well float out of position during curing. Cover and let it cure overnight. 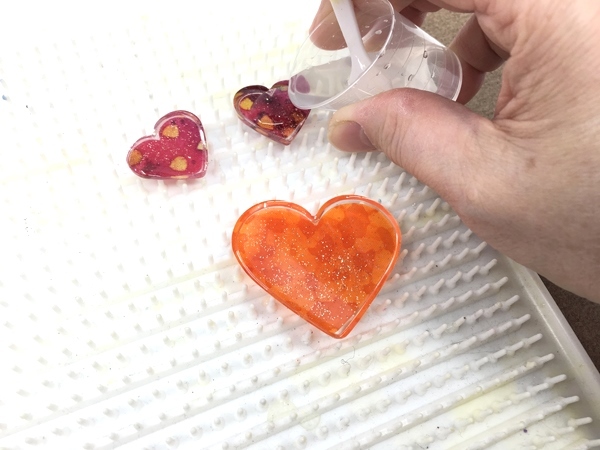 I then added more resin to the large heart to complete the doming process. 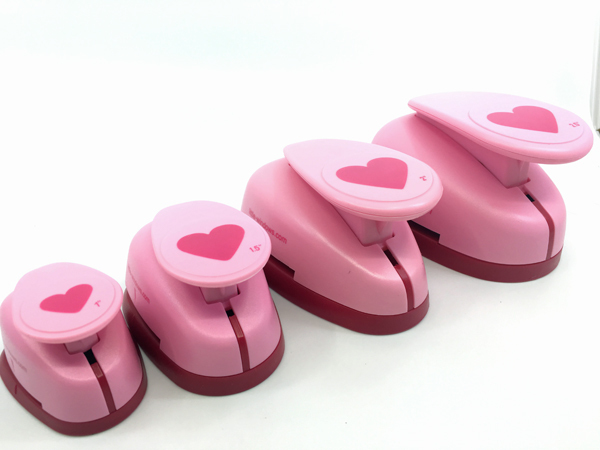 I also experimented with 1 1/2 inch round paper punches as well as further small red hearts which fit inside these round shapes. All these pieces were domed up on 1 one side initially. 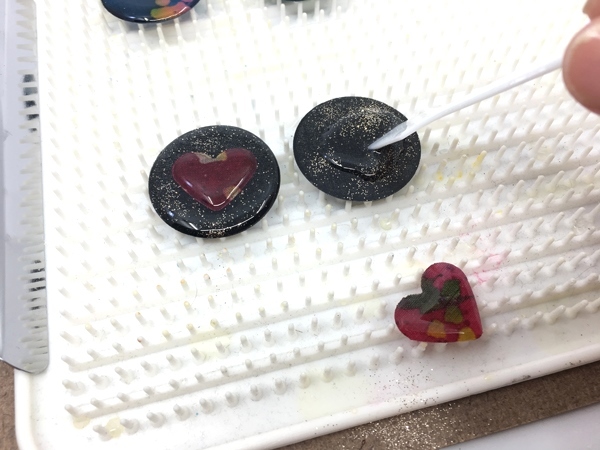 Once cured, resin was added to the other side of the round shapes - enough to just cover the surface. 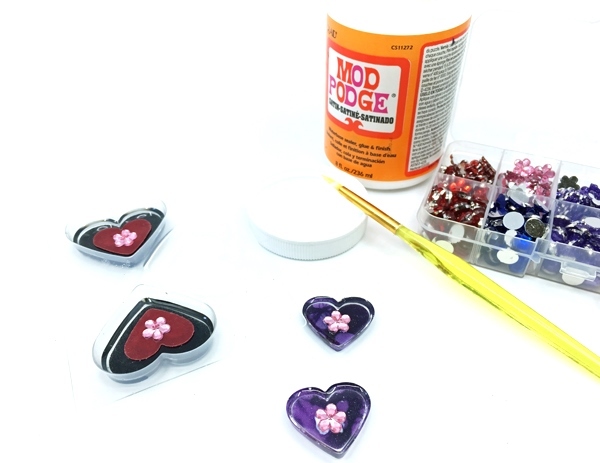 I added some glitter and then placed the smaller cured domed hearts in the middle. Again cover and cure. The large silicon doming tray from Little Windows is useful because any drips can be removed later on. Another tip is to place the tray on a clipboard as I have so you can move the whole thing without upsetting pieces. Well. No one is perfect. A little resin over flowed on a couple of my pieces. You can see one side is kind of bumpy! All is not lost. I sanded underwater to eliminate breathing in resin dust, starting with 200 grit wet and dry sandpaper all the way up to 1500 grit. 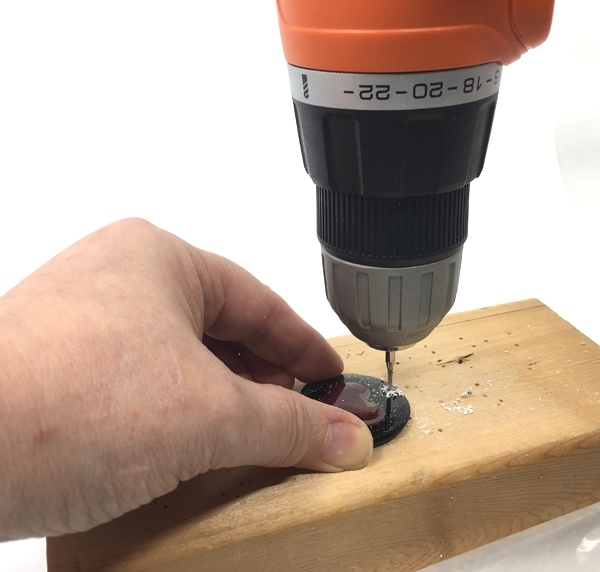 Although I have previously shared how to use a drill with split mandrels with sandpaper for edges and for shaped pieces, I recommend you use the manual method to ensure a flat and even finish for this kind of mishap. I didn't bother with higher grades of sandpaper even though the surface still had a matte look. I simply added a thin layer of fresh resin and viola! Nice and shiny once more! My black pieces needed a touch up. 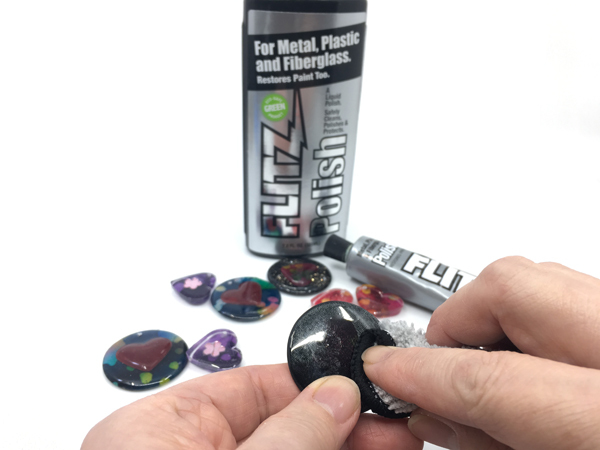 I recommend Flitz which is a great metal and plastic polish. 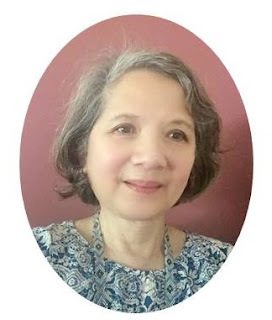 See links below for reviews. The tube form is also available from Little Windows. I also did some pieces without the layered effect for comparison. I just glued down extra punched but undomed hearts and some inexpensive crystals. Once the glue dried, I just filled with resin. Remember, the concaveness of the demolded pieces meant I had to dome up one more time to complete the pieces. I used a spiral ratchet drill (Little Windows has it as well as many bit sizes) to make holes in most of my pieces. But I found it quicker to use those initial bores with the manual drill and finished the job with my electric drill! 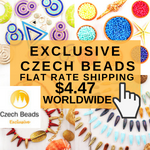 One tip is to use pinch bails instead of just plain jump rings to connect the earrings to the ear wires. I dismantled the top part of this articulated pinch bail. Then I trimmed off the two internal stems so that the bails fit better once I pinched them shut. I also experimented with a new brand of glue I received from StarBond for review. 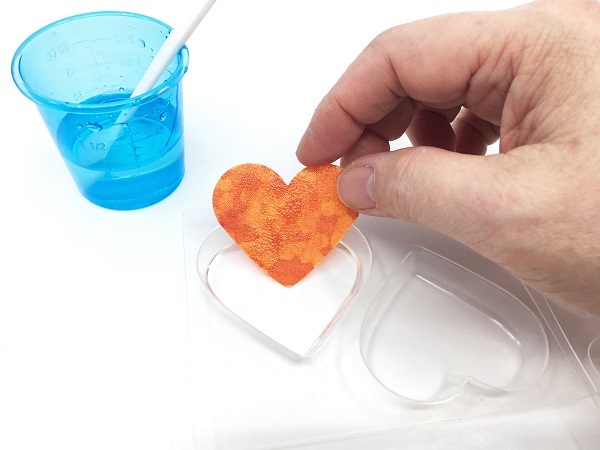 They make their own formulations of cyanoacrylate (CA) glue. The best known CA glue is the commonly found Super Glue. 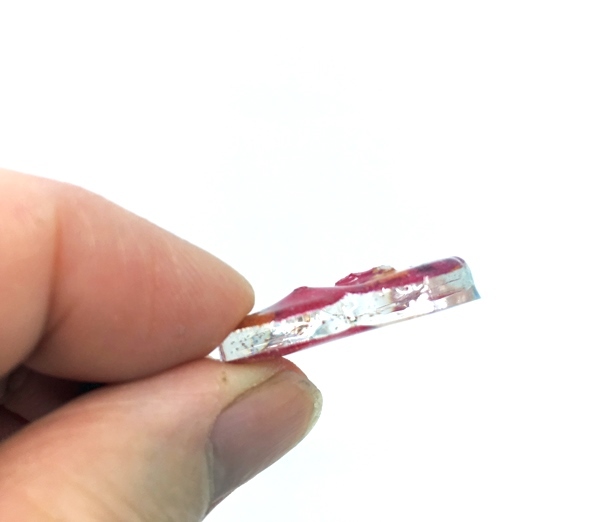 As regular Super Glue is brittle, jewelry makers in recent years have been using another type of cyanoacrylate glue called Super New Glue. I have used Super New Glue before - it is especially effective when you are gluing leather etc into end caps. But they come in itty-bitty bottles. 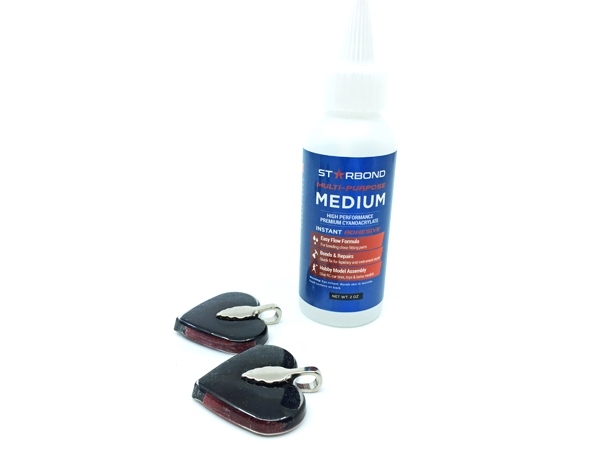 I am keen to test out Starbond glues because they market their formulations as "more durable, stronger, and less brittle superglues". 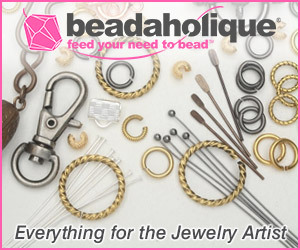 Plus they are used for many craft applications including wood, lapidary etc. There are many types of Starbond glue. For this trial, I used the Medium all purpose one. 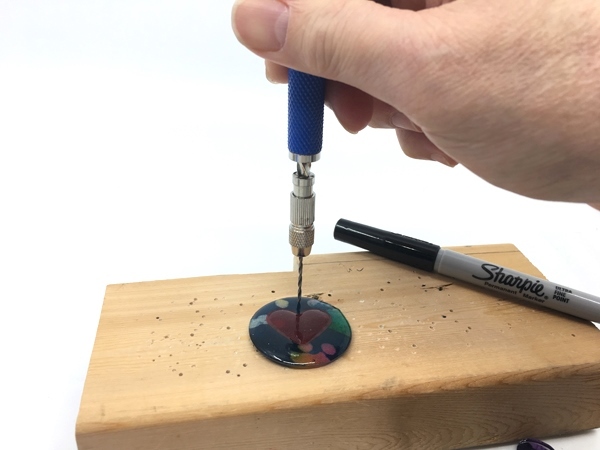 I have had trouble before with Super New Glue on resin pieces - really liquid and on resin, you need just one shot at placing the bail in the right spot. This time, I roughened the surface where the bail will be going with some sandpaper. Then I put a drop of the Medium on the bail before putting it on the piece. Unlike E6000, CA glues are very liquid. So the challenge is not to move it at all until it fully cures. This glue is pretty strong. I waited until the next day before testing the strength of the glue. 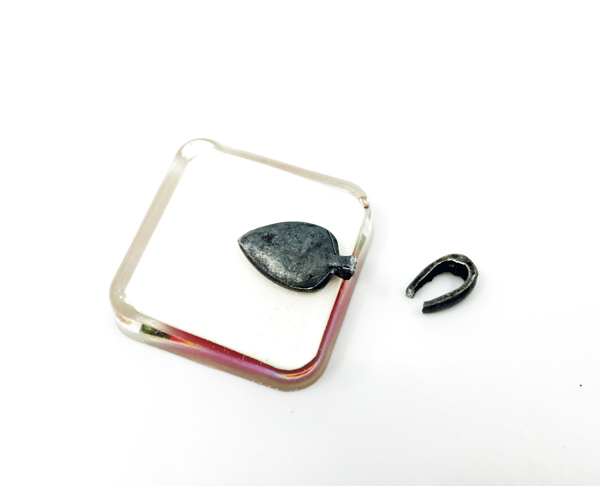 This bail on a test resin piece below was a cheap one and IT broke! But the glue held. 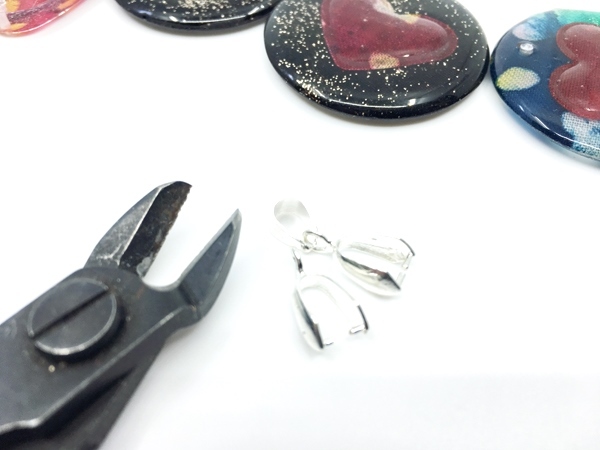 I also tried to manually remove the bail on one of the above pendants and couldn't do it. 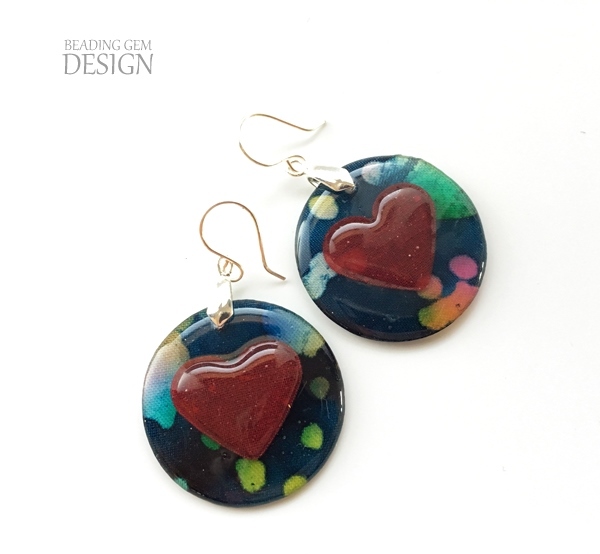 I just used regular wire wrapped loops for the small heart earrings. My favorite was the big heart brooch! 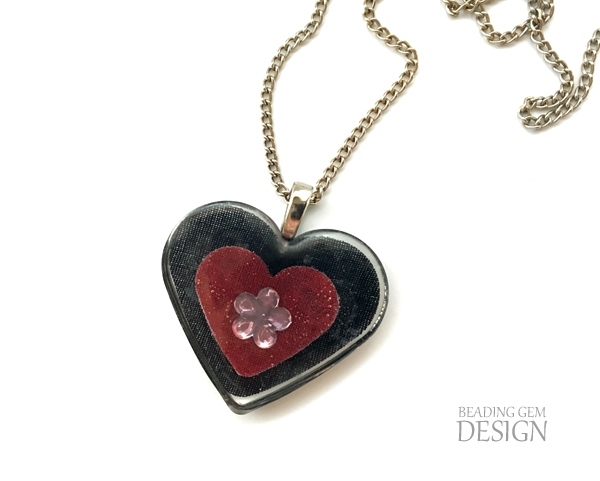 The layered resin approach added depth to the designs. Contrast this with the flat design - last picture below. Which do you prefer? I know what I would choose - the layered ones! I used my iPhone 6S with the Camera+2 app. Final jewelry photography was carried out in natural daylight with my Modahaus Light Studio (not currently available). I used the Orangemonkie studio which comes equipped with LED lights - for artificial light photography of the tutorial pictures in my windowless basement studio. The Foldio2 is particularly affordable. I use the Foldio3 with the extra light bar because I need the room for tutorial photography. 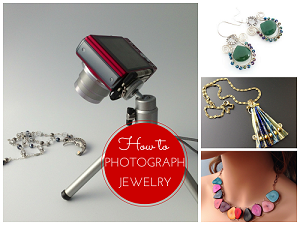 Check out my How to Photograph Jewelry Webinar ..sign up for the notification so I can let you know when my online class is ready. I couldn't see what you had done with the pinch bail - the light washed it out - but I was quite interested in that new glue! I've bookmarked their page - will give it a try. I can't decide which one of these I like the best. The big one is orange - so of course I'm going to like it - but the little hearts are sweet too. Good job Pearl. Great tutorial. I only wish I could do resin - then again - that would be another rabbit hole! I will be blogging about Starbond glues in the future. And I will be repeating the bail idea. Basically, I removed the top link. And trimmed the stems. 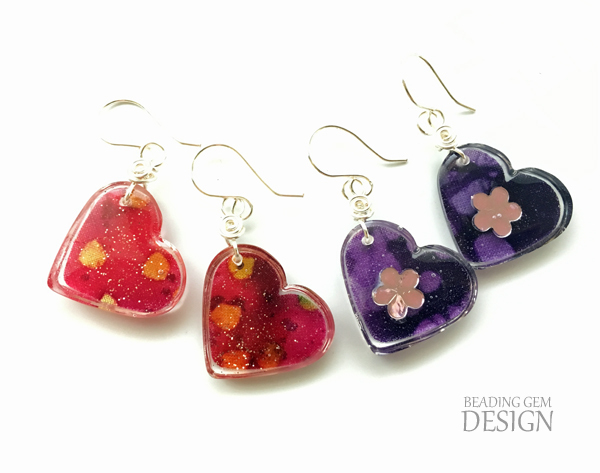 Using fabric and resin is like falling into a rabbit hole! So many other ideas and so little time! It's always fun to see some of your own work high lighted. Don't know how you have time to do your own things when you spend so much time preparing such great blogs for us. LOL! It is a struggle! I wish there were more hours in the day.